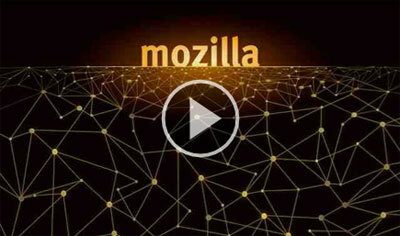 Mozilla‘s vision of the Internet is a place where anyone can access information, a place where everyone can hack and tinker; one that has openness, freedom and transparency; where users have control over their personal data and where all minds have the freedom to create and to consume without walls or tight restrictions. In less than 20 years the Internet has changed our lives. 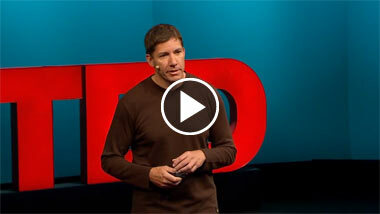 It is a powerful platform with unprecedented opportunity and connectedness. But even with great growth and innovation there are significant challenges to this vision of a healthy Internet. 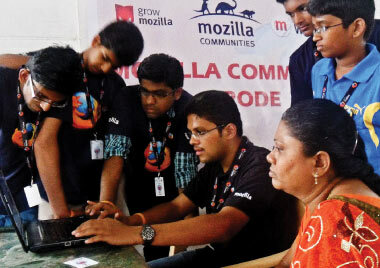 Mozilla is mobilized to ensure the protection of the Web and to empower tomorrow’s webmakers and Web users. Today, Mozilla is growing — with more employees, contributors, products and locations — to ensure that the Web remains an open, vibrant ecosystem. Because, the Web is the platform for building the world we want. Please explore this site to learn more about Mozilla, our priorities and focus areas that enable us to ensure the healthy growth of this large and precious global resource. 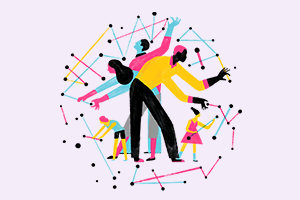 Mozilla is mobilizing millions of people to build the world they want. Mobilizing to set the mobile Web free from proprietary platforms and gatekeepers. Mobilizing to empower the world's next two billion Web users. 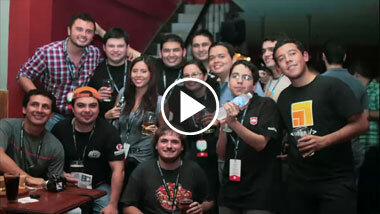 And mobilizing to build a new generation of digital innovators, creators and webmakers. Moving forward we will continue to focus on building products, technology solutions and educational offerings that incorporate Mozilla values into the Web. Today, Mozilla’s mission remains as important as ever. From Firefox through Firefox OS to our new Mozilla Webmaker educational offering, the goal is empowerment. It’s about unlocking the full creative power of mobile; standing up for user sovereignty, privacy and freedom; and helping millions of people move from using the Web to actively building its future. Just like we did on the desktop, Mozilla is setting out to ensure that the mobile Web is full of freedom, choice & opportunity. Just like we did on the desktop, Mozilla is setting out to ensure that the mobile Web is full of freedom, choice and opportunity and that it has the ability for users to create anything they want. With Firefox OS, we can break open the world of native operating systems and closed platforms once again. 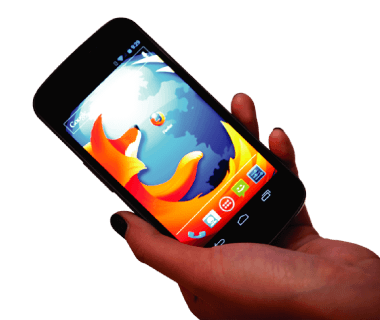 Firefox OS is the first truly open mobile platform. Developers are already embracing HTML5, but so far HTML5 applications on mobile have been held back because they can’t access the device’s underlying capabilities the way that native apps can. Firefox OS overcomes these limitations and provides the necessary APIs to show how it is possible to run an entire device using open standards. Firefox OS devices will launch in early 2013 through Telefónica, establishing HTML5 as a viable platform for the mobile industry. 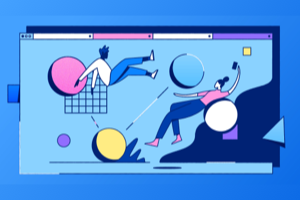 The Web as the platform will free developers to create groundbreaking new apps that work seamlessly across all devices, spurring a new era of innovation and creativity for the ubiquitous Web. In June 2012 we released an update to Firefox for Android that we believe is the best browser for Android available. We completely rebuilt and redesigned the product in native UI, resulting in a snappy and dynamic upgrade to mobile browsing that is significantly faster than the Android stock browser. 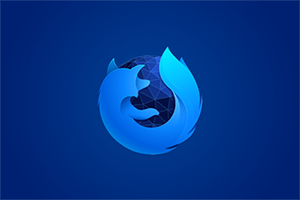 This made Firefox significantly faster on Android and delivered a much better browsing experience to users than the one offered by the device’s stock browser. We also added Do Not Track to Firefox for Android to let users express their intent for privacy, even on mobile and are the first mobile browser to offer Do Not Track. Firefox for Android is a critical part of supporting the open Web. This is a great start, but it is only a start. We want these opportunities to exist at all layers of our Web experience. 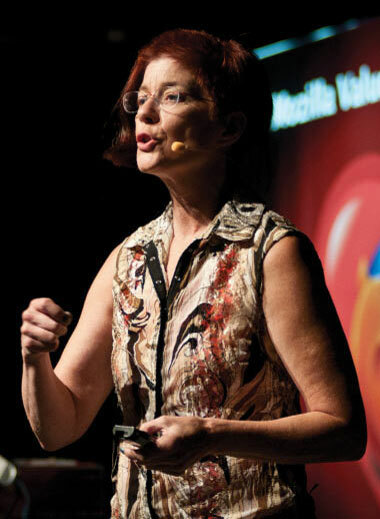 Firefox will always be the part of the Mozilla mission that people can see, feel and touch. Recently, we have been experimenting with ways to integrate social functionality into Firefox. Firefox will support a new Social API that lets developers integrate social services directly into the browser. The Social API will support multiple providers and has endless potential for integrating social networks, e-mail, finance, news and other applications into your Firefox experience. Our first experimental provider is Facebook. The unique power of the Web is that anyone can make and build with it. The unique power of the Web means that anyone can make and build with it. Our new educational offering, Mozilla Webmaker, will place that power in the hands of millions of new creators everywhere. Webmaker tools, projects and events help educators, youth, media-makers and everyday consumers around the world move from using the Web to making the Web. 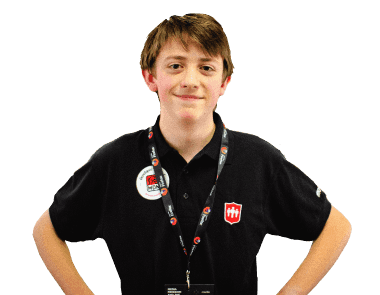 In 2013, Webmaker will mobilize a global community of mentors, instructors and youth to teach and learn together; advance revolutionary Webmaker software tools like Popcorn and Thimble; and work together to build a more Web-literate planet. 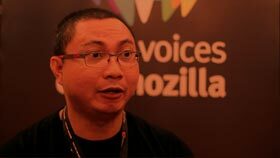 Mozilla will continue to contribute to Web standards. Standards are a multi-vendor effort, but Mozilla is proud of the many technologies we have pioneered and submitted to standards bodies to make them interoperable for the Web as a whole. 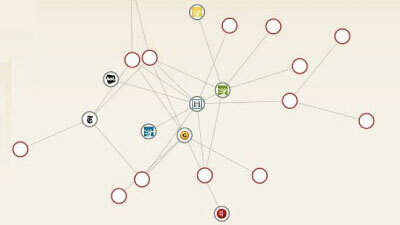 Some examples of these include geolocation, WebGL, the Gamepad API, Web Telephony and IndexedDB. Mozilla is proudly non-profit and answers to no one but you. That means we're uniquely able to fight for users at a critical moment in the Web's history. Looking forward, we will mobilize millions of people to stand up for privacy, security and online freedom. We will take on new threats to the Web's future — from locked down proprietary platforms, to would-be censors and gatekeepers, to short-sighted government legislation. Together we will set the mobile Web free, reassert the vital importance of privacy and user sovereignty, and join others in building a more Web-literate world. Our Internet experiences involve more of our personal data, which forms a picture or profile of who we are online. The ability for organizations to monitor, log, store, use, correlate and sell information about who we are and what we do has huge implications for individuals and for society. Do Not Track is important because it gives users a voice online to express their preference for privacy and personalization. It captures the user’s intent and allows them to put their hand up and ask for privacy online. Mozilla was instrumental in the movement to motivate the Web community to act against the Stop Online Piracy Act and the Protect IP act. These laws, had they gone into effect, would have given the US government and private businesses incredible censorship powers that would have global ramifications, weaken the Internet's security and discourage innovation and investment worldwide. 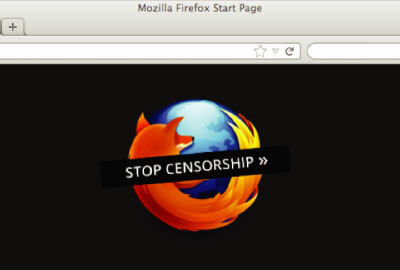 Mozilla was one of many organizations that blacked out its websites in opposition to the SOPA/PIPA bills in congress. For the first time, the Web community of more than 15 million people came together to speak against a policy that affected the Web as a whole. This historic protest represented a significant turning point for the Web as a way to engage the electorate and mobilize citizens for change. 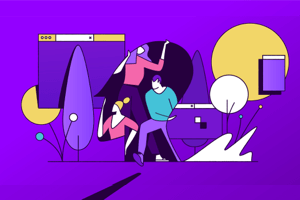 This year we brought back Firefox Flicks — a video challenge for aspiring filmmakers, animators and creatives from around the world to produce and submit short films. These films made by Firefox fans, promoted and educated users about the issues that affect their online lives such as privacy and security. Most importantly, these filmmakers shared what makes Firefox different using their own voices. Celebrities and film-industry experts helped select the regional winners from more than 400 submissions from thousands of filmmakers worldwide. Our success begins with you. Mozilla is an organization that is fundamentally about people and making the Web better for everyone. The Mozilla community is essential to the success of the project. We can’t fight for an open, hackable and transparent Web without people who believe in and support that cause. 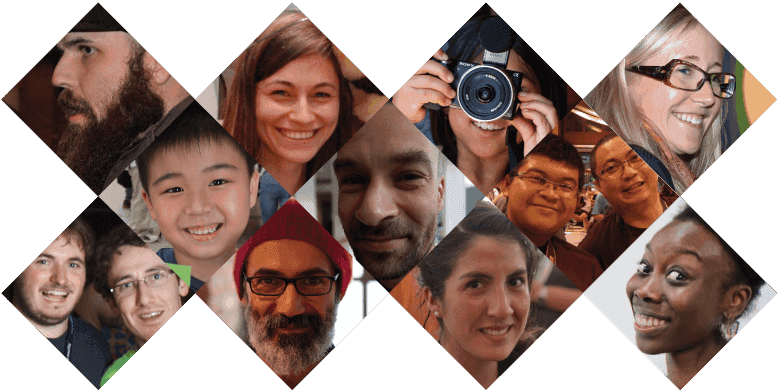 We have Mozilla communities spanning the world and these remarkable people are responsible for coding, testing, localizing, hosting hackfests and summer code parties, teaching Webmakers, marketing, evangelizing Mozilla products and much more. 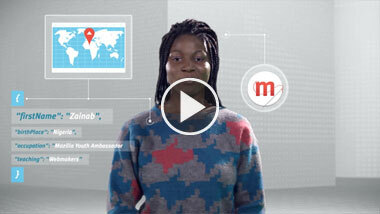 Learn more about how you can get involved with Mozilla. The Mozilla Reps program, designed to empower volunteers to become official representatives of Mozilla in their region, has grown to more than 350 people in more than 70 countries in a little more than a year. 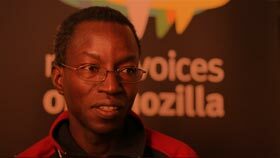 The program plays a critical role in helping Mozilla execute against its organizational goals around the promotion and development of Firefox OS, Firefox for Windows, Mac and Linux and Firefox for Android. Reps have organized more than 700 events around the world and have successfully recruited and trained hundreds of new contributors across dozens of functional areas. MozCamps are regional events that bring together core paid and volunteer Mozilla staff members from all areas of the project for two full days of presentations, discussions, brainstorms, work sprints, hackathons and, of course, a little bit of fun. While the main focus is on community leaders and core contributors, MozCamps also aim to train up future leaders — those Mozilla contributors who have been particularly active in the past six months and represent the next generation of Mozilla leadership in the community. This year‘s MozCamps were held in Buenos Aires, Warsaw and Singapore, bringing together more than 300 employees and 600 volunteers. Some of the fastest growing and most dynamic communities are some of our youngest communities. 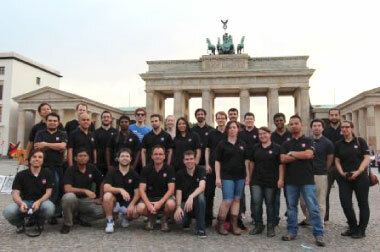 They can be found in the Middle East, Africa and South East Asia and many of their members have been invited to MozCamps in 2012 as participants. The Tunisian community, Kenyan community and Filipino community have been doing particularly outstanding work and each comprises roughly a dozen active contributors across many functional areas, including localization, QA, marketing and development. One of the newest Mozilla communities launched in 2012 is in Myanmar. 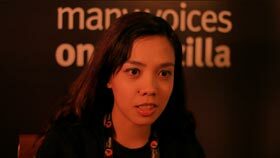 Chit started contributing to Mozilla in 2010 and has been leading community building efforts in Myanmar ever since. Viking organized the first ever Firefox launch party in Indonesia back in 2007 and has led community marketing efforts across the country. Keng kickstarted efforts to get Firefox localized in Thai and has been a community lead since 2008. 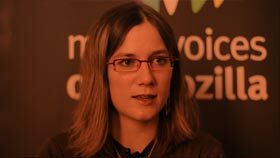 Claire started contributing to Mozilla in 2009 and is the editor of the Bonjour Mozilla blog. 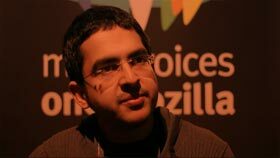 A passionate open source evangelist in his native Egypt, Haitham became a Mozilla Rep in early 2011. 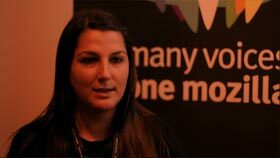 Ioana has been driving Mozilla hackathons across her native Romania since 2010. 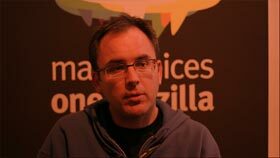 Brian has been contributing to Mozilla for more than a decade and recently sat on the Mozilla Reps Council. Along with this annual report, we released our audited financial statements for 2011. Mozilla remains well positioned, both financially and organizationally, to advance our mission of building openness, freedom and participation into the Internet. Mozilla remains financially healthy; we continue to hire more people globally, we’ve opened new Mozilla Spaces around the world, have launched significant new initiatives such as Firefox OS and are able to support those with viable resources. The majority of our revenue comes from the search functionality in the Firefox browser. Google is the largest source of revenue and in December 2011, we announced that we negotiated a significant and mutually beneficial revenue agreement with Google. This new agreement extends our long term search relationship with Google for at least three additional years. Mozilla has a number of other relationships in the Web community, as well as new relationships with mobile operators, device manufacturers, third-party content partners and other players in the mobile ecosystem.